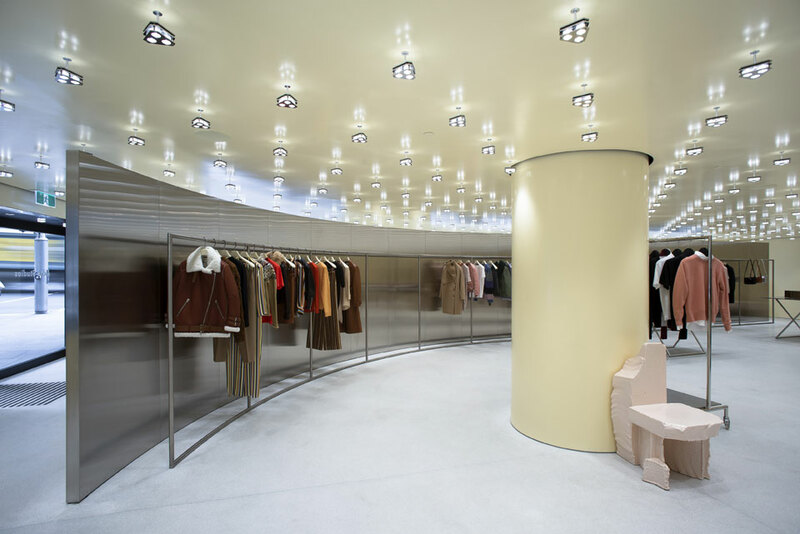 Cult Scandinavian brand Acne Studios has worked with local practice H&E Architects to execute its latest retail offering in Sydney. 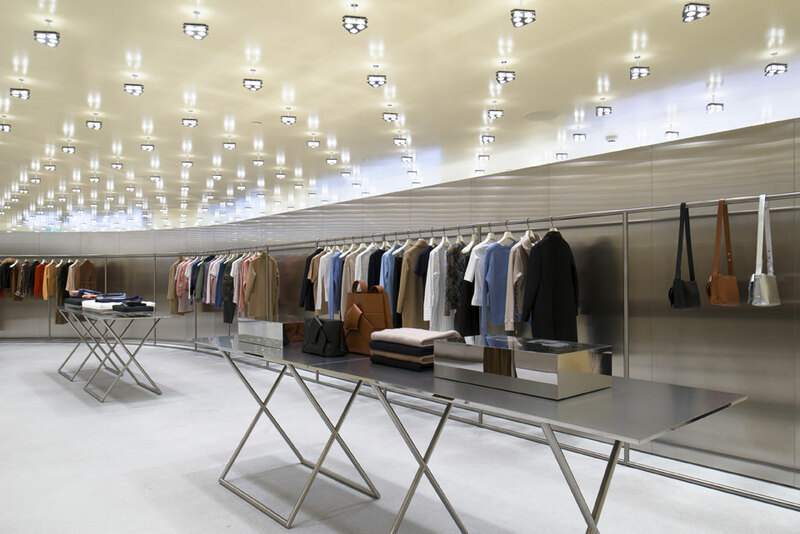 Building on an existing partnership, H&E was the executive architect on the project, working with Acne Studios’ in-house design team to bring the brand’s minimalist aesthetic to life. Customers journey into the space, curving around the central milled stainless steel wall. Designed as a site-specific response, the L-shaped space plays into the final design outcome. 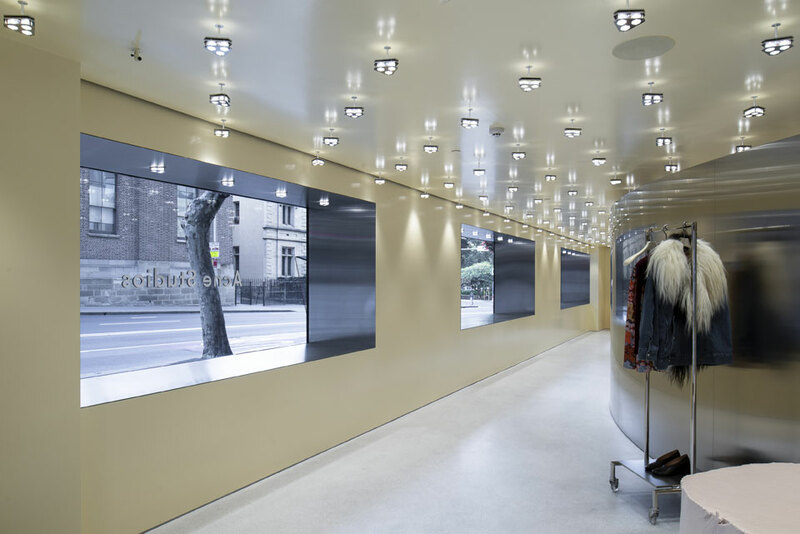 Customers are greeted with negative space as they enter the 390-square metre store. 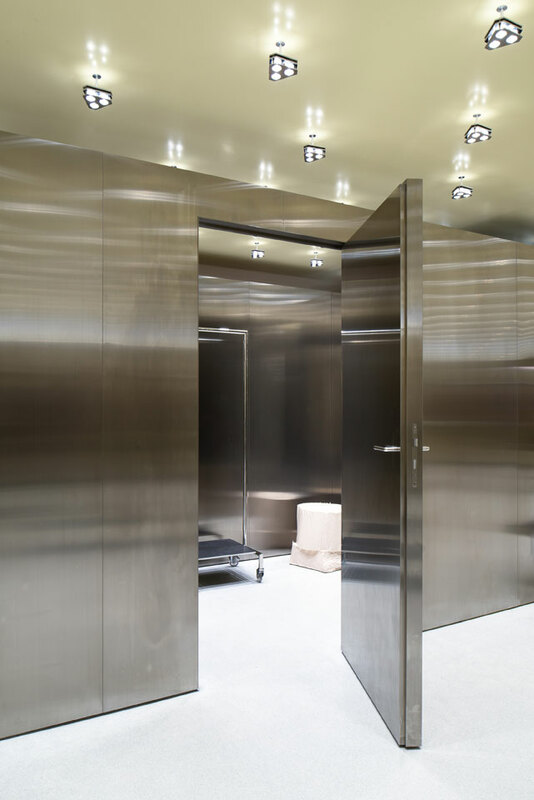 A blank, stainless steel wall forms the sparse backdrop at the entry, curving its way around to bring the customer on a journey of discovery, deeper into the store itself. Rounding out the minimalist material palette of milled stainless steel is the poured in-situ terrazzo flooring. Soft pink custom furniture items puncture the sleek interior, appearing as abstract landscapes or art pieces. 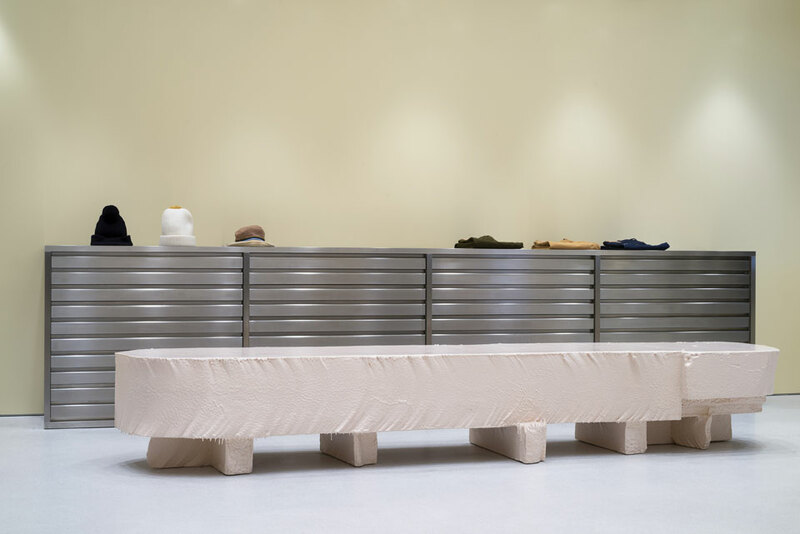 The pieces, made by British designer Max Lamb, add an unexpected and atypical element to the interior – another aligning reference to Acne Studios’ DNA. Abstract, soft pink forms are dotted throughout the space. These custom pieces were designed by British designer Max Lamb. Lighting plays an integral part in the austere space. A meticulous, repetitive grid splayed across the ceiling evokes a clinical and futuristic feeling. The design is made up of seven hundred ‘illuminated mushroom’ lighting fixtures by Beniot Lalloz. The meticulous lighting grid evokes a clinical, sci-fi feel. The curving stainless steel wall creates a rack on its alternate side. 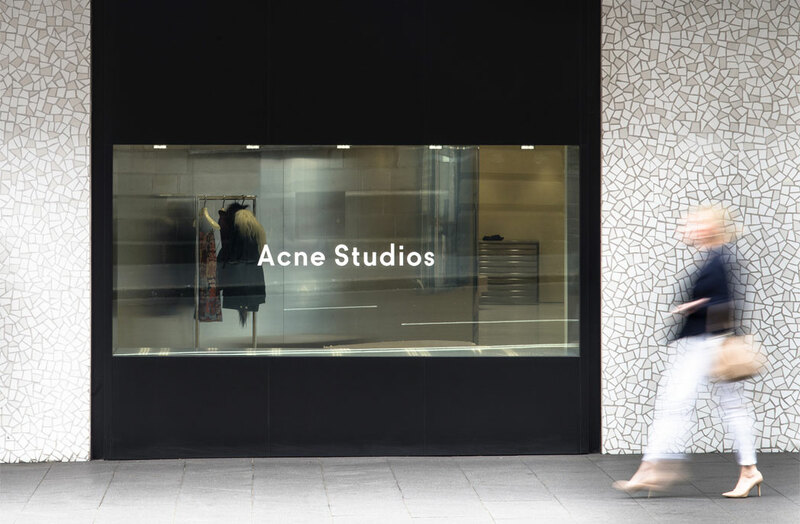 The Sydney CBD project is the fourth time H&E has worked with Acne Studios. All the product is displayed as if in an art gallery. Ample room is allowed for storage and back of house. Read about some of the new retail experiences in the wake of the digital age.